• The development of verbal, motor, social and critical-thinking skills through a developmentally-appropriate, arts-integrated and play-based curriculum. • Collaboration with parents, teachers and students. • Documentation of the child’s explorations and process of learning. Reggio Emilia, a city in Northern Italy, is globally-renowned for its municipal preschools. We’ve been deeply inspired by the work that emerges from these schools and their American counterparts. At the Green Bean, the Reggio approach influences both our curriculum and our learning environment. 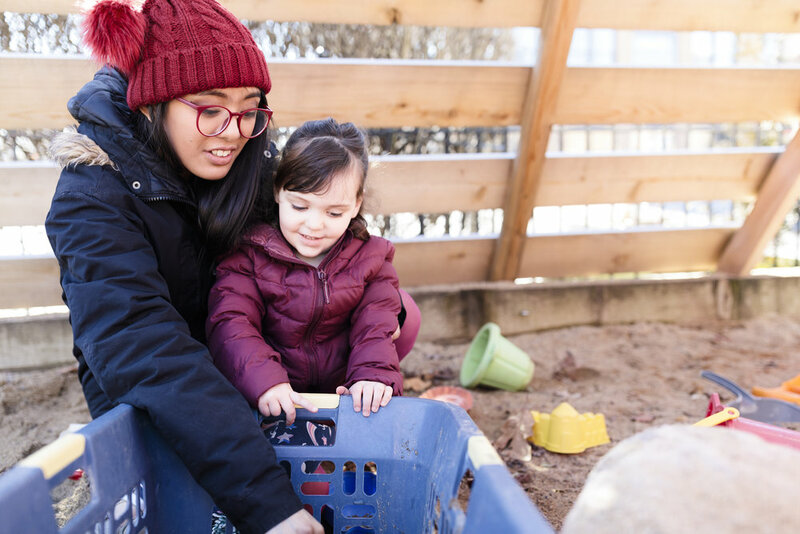 Within the Reggio approach teachers act as guides, resources, and partners in learning while always making sure to pose questions that encourage our students to develop critical-thinking skills. Our curriculum is created new each year as our teachers discover each new group’s interests. One three-year-old group may be fascinated by dinosaurs or a group of four-year-olds might be encouraged to recreate a solar system model, or to plant, maintain and harvest a vegetable garden. Our teachers will build upon these passions focusing the curriculum on these foundations. Projects are planned, yet responsive to individual needs and environmental happenings. Children become engaged in learning when it’s relevant to their life experiences so, at the Green Bean, we strive to create meaningful educational opportunities in an ever-evolving, stimulating context. We strive to guide children’s explorations, and to provide just the right amount of support. Opportunities are provided for children to take responsibility, to make decisions and to learn through play in mixed-aged groupings. We always seek to encourage children to be thinking, asking and hypothesizing about the way the world works.